Themed place settings add extra flair to any occasion - family events, social gatherings with friends, parties with your work pals and especially holiday get-togethers! Make your Easter holiday extra special this year with this adorable DIY craft. It's simple, personalized and memorable for years to come! Chances are, there will probably be eggs somewhere in the mix of the holiday, so grab a few, dyed or not, and get to crafting! 1) Set aside one boiled egg for every guest you're expecting. Already dyed your Easter eggs? Perfect! Grab those! 2) Using a marker or paint, print your desired initial(s) on each egg. Craft hack - Wite Out will also work! 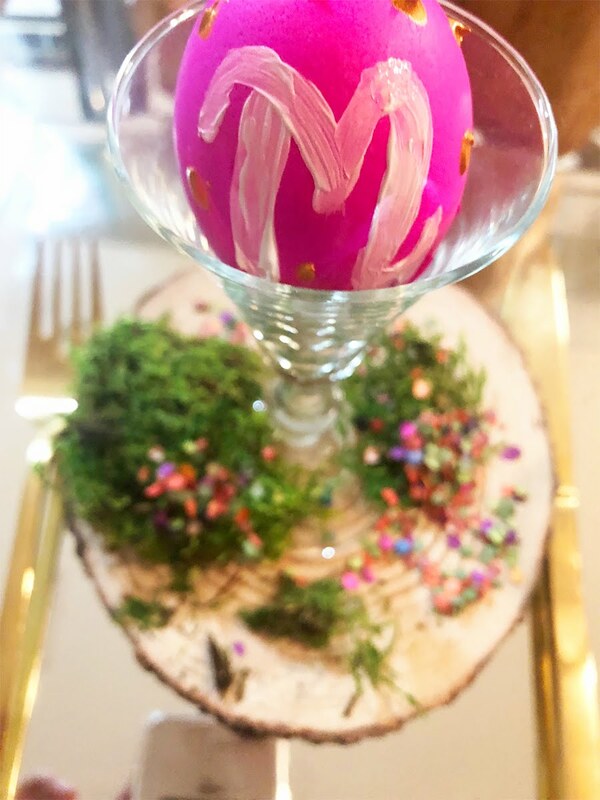 3) Decorate your egg with cute polka dots or flourishes depending on your desired color scheme and style (gold metallic paint used in pics). You can also use glue and glitter! 5) To create a whole vignette, place your decorated egg on a serving dish or in glass drinkware. Cushion your eggs with a pinch of moss, paper nest, tissue paper, confetti or the like. Simple as that! These adorable place settings are so fun and will bring a thoughtful touch to your Easter holiday. 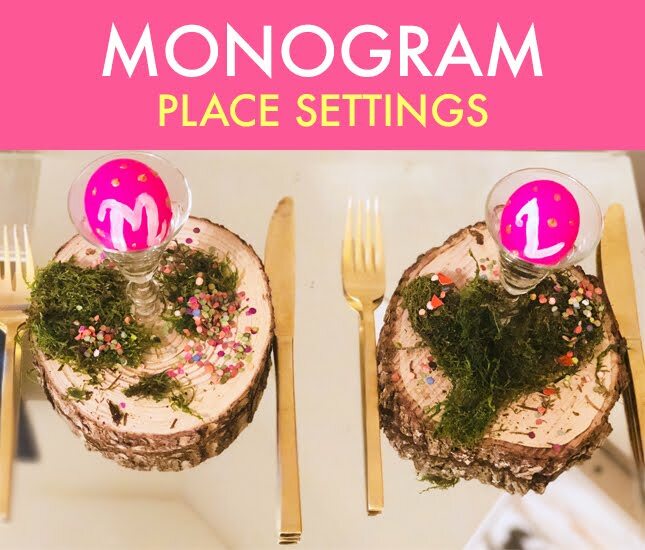 Have fun putting your own twist on your monogrammed egg place settings! If you give it a go, we would love to see your pics! Wishing you a very happy Easter from all of us here at Marleylilly!